It's not just a student dorm, it's a lifestyle and not everyone would dare to live it. Cycling in the middle of the night to the most dangerous neighborhood in Utrecht - the Kanalen Eiland, that's what we do. And the bathrooms...have you seen those? You shouldn't if you're an aesthete. However, now I wouldn't change Beneluxlaan to anything in the world (well, maybe I would... to something cheaper). But it's fun! It's an experience! And I think it's the people that make it so great! French, Turkish, Canadian, Spanish, Lithuanian, Finish, Dutch... you name it! And the best part is... if we want to smoke shisha in the middle of the night in our corridor we just go and do it, drag our tables and chairs out and have fun together (don't ask what do we do with the fire alarms, though). So this is how we get along, how we party, live and maybe sometimes even study. 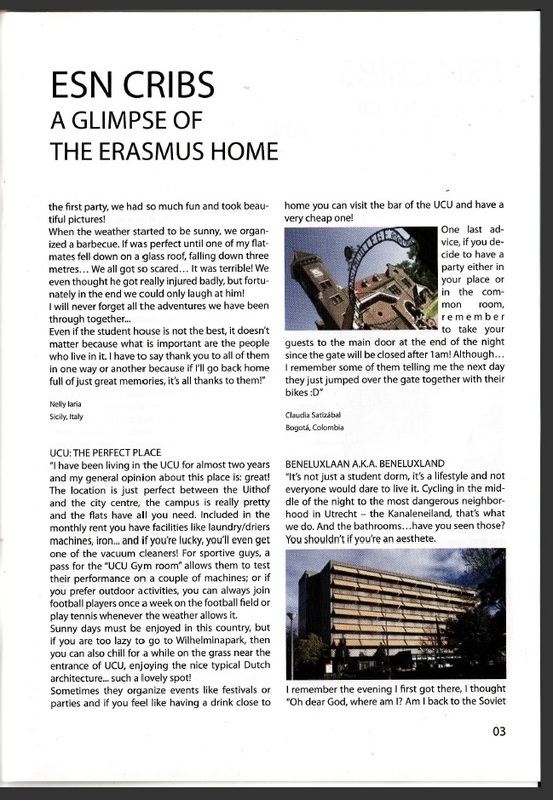 And no matter the minuses that Beneluxlaan 924a has, we will always remember it as the place where we had the best days of our lives.